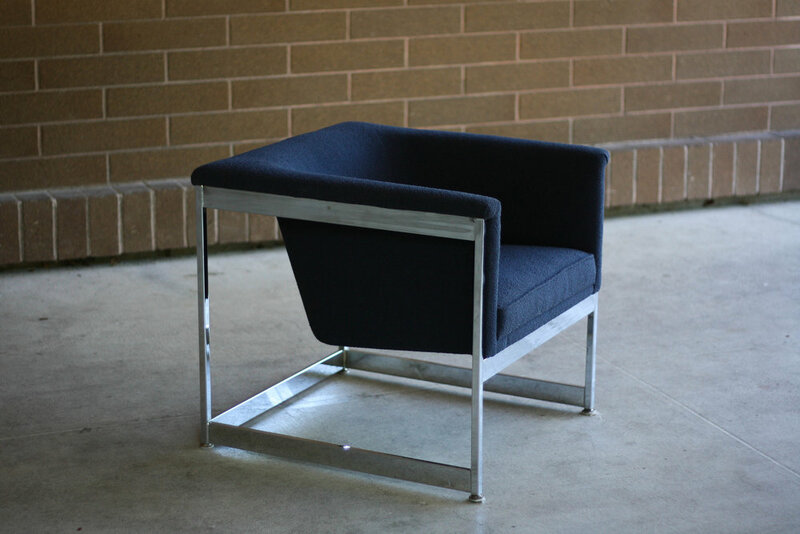 Featured here are two cube chairs designed by Milo Baughman. Take note of the gorgeous chrome, flat bar frames and the beautiful cantilevered seats. 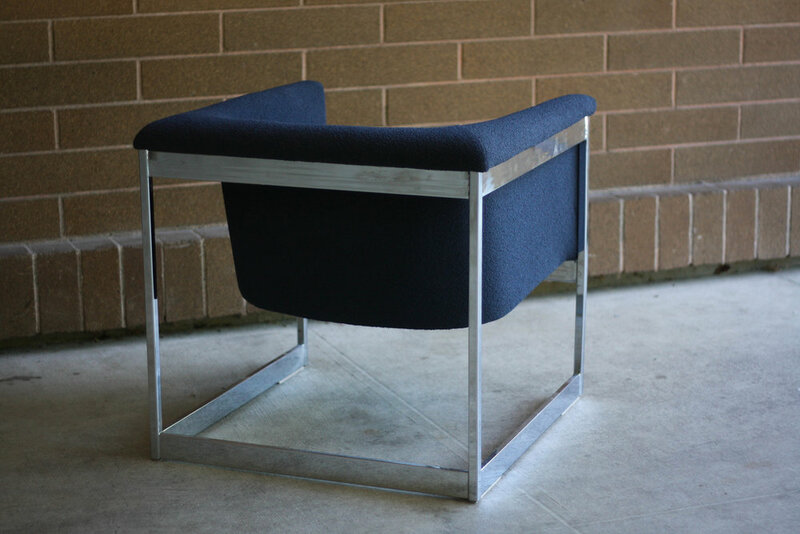 They have been completely reupholstered in a stunning Indigo blue, period appropriate, boucle fabric. 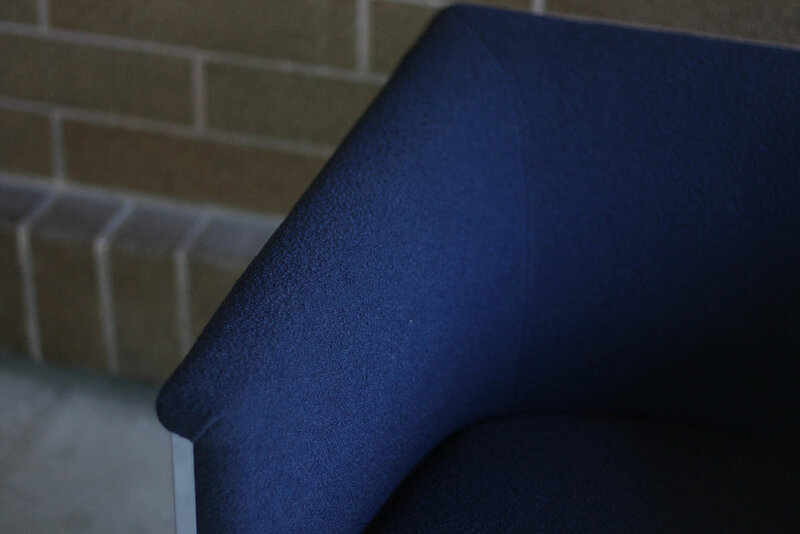 The nubby texture adds the perfect dimension to the piece. Chrome frames are almost like mirrors they're so finely polished. These chairs are sure to drop the jaws of all of your guests. They are very heavy and absolutely rock solid with no structural compromises. As is the case with any truly vintage piece there are imperfections and patina to the frame like blemishes and hairline scratches/markings. As you can see from the photos, the chairs show amazingly well.